Why is it Important to Know How Your Flat Roof Works? Flat roofs have a degree of uniqueness that is due to the diversity and creativity you can approach this type of roof. On the other hand, a flat roof is more exposed to wear and weather conditions than a classic roof. It must withstand temperature variations, shock temperatures, chemical exposure, UV radiation, traffic, rain, and many other things that may affect it. 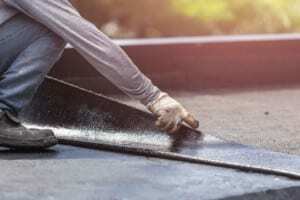 Therefore, knowing how your flat roof installed by commercial roofing Colorado Springs CO pros is essential. There are some design requirements to be respected if you want your flat roof to work properly. A flat roof must be designed to withstand dynamic stress, impact and other mechanical actions throughout its lifespan. It is thus recommended to use solid materials with adequate compressive strength and flexibility.